In order to curb the stream of unauthorized emigration by Chinese provincial officials and prevent them from leaving the country, Chinese authorities are confiscating their passports. 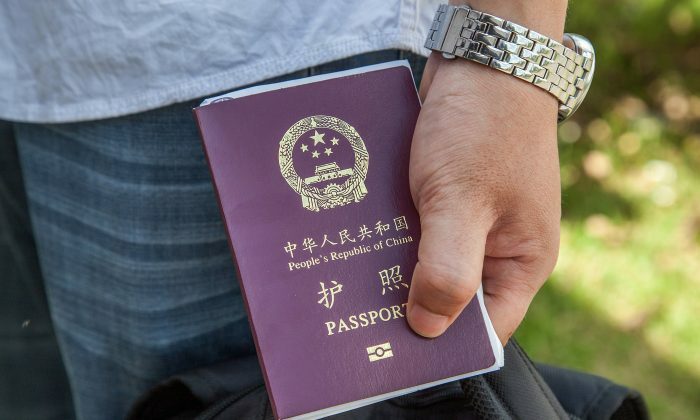 During June, authorities in several Chinese provinces have confiscated local officials’ passports, and many “naked-officials” are being investigated. One immediate consequence of this new policy is that travel agencies are experiencing a drastic decrease in business. Travel agencies in Tieling have suffered substantial losses, according to Ms. Yang who works at Feiyang Travel Agency. “Starting from the beginning of this year, very few public servants can travel around,” she told Epoch Times. Mr. Li, a Bureau-level official in Changchun, Jilin Province, told Epoch Times that authorities issued a notice saying officials must report to their superiors to get approval before going abroad, regardless of which country they plan to go to. Local officials are able to keep their passports, though. Similar situations of officials being forbidden to go abroad freely exist in many places in China. A travel agent in Shenzhen, specializing in travels to the United States and European countries, told Epoch Times, it is a nationwide phenomenon that officials are forbidden to go abroad as they please. Even when going abroad as a tourist they have to go through approval procedures. Only publicly sponsored visits to foreign countries are not restricted. In the past 20 years, China has seen a rising number of “naked officials,” who have sent their wives, children, and money overseas, and incidents of officials defecting from China. As a result, the Chinese communist regime has attempted to tighten control over its public servants. Starting at the end of 2008, numerous officials have had their travel documents confiscated. Zhejiang Province demanded that all officials above deputy section level and all officials with the Public Security, the Judiciary, and the Procuratorate turn in to the local governments their passports and exit-entry permits for traveling to and from Hong Kong and Macau. In September 2011, in Shanghai and the provinces of Guangdong, Jiangsu, Zhejiang, Shandong, and Fujian, local authorities began to hunt down officials who had escaped and took measures to prevent officials from escaping. Recently, authorities in Guangdong Province uncovered over 1,000 naked officials. But even when threatened with demotion, only 200 were willing to bring their family members back to China. Zhu Xinxin, a former Chinese journalist, now a freelance writer, told the Epoch Times that with the increasing numbers of naked officials and escaping officials, the Chinese communist regime is now panic-stricken. That’s why there is this new policy of confiscating officials’ passports; it’s a mentality driven by fear, Zhu said. According to Zhu, many Chinese people consider this odd phenomenon an indication of the Party’s end, the struggle before its final demise, and it will come up with any form of madness. “The Chinese Communist Party is like a sinking ship,” Zhu said. “These officials regard their passports as their lifeboats. Now these lifeboats are controlled; they cannot escape any more. In actuality, the Chinese communist regime wants all these officials to die with it, together,” Zhu said. Translated by John Dong. Written in English by Gisela Sommer. Despite strict state monetary controls, billions in hot money move almost unhindered into and out of China through underground channels. An official audit on corruption in China’s central government agency shows widespread misuse of public funds in 2013.